Human ancestry can only help solve anthropological questions by using all anthropological disciplines involved. I have said that many times in this blog. You might think the tenet ‘correlation does not mean causation‘ must be evident at this point in Statistics, and it must also be for all those using statistical methods in their research. But it is sadly not so. A lot of researchers just look for correlation, and derive conclusions – without even an initial sound hypothesis to be contrasted… You can judge for yourself, e.g. reading the many instances of this complaint in recent publications of Biomedical and Social Sciences, on the interesting blog Statistical Modeling, Causal Inference, and Social Science. 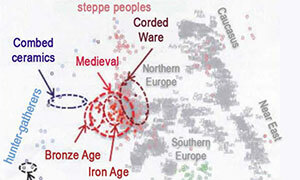 In anthropological questions regarding Indo-European studies there is an added handicap: not taking correlation to mean causation does also mean – to avoid at least the most obvious confounders – taking into account the multiple linguistic and archaeological data that are available right now, to explain the expansion of Indo-European languages. You might also believe that international researchers in Human Evolutionary Biology – after all, this is essentially a biomedical discipline – are acquainted with statistical methods and their problems when applied to their field. And that scientific journals – and especially those with the highest impact factors, like Nature, Science, or PNAS – have professional, careful reviewers who would never accept papers that equal correlation with causation, especially when Social Sciences are involved (because this alone might make errors grow exponentially…). Sadly, this is obviously not so, either. Both studies [Haak et al. 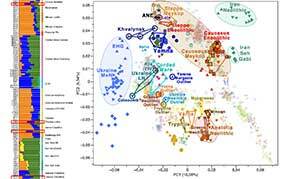 (2015) and this one] found a genetic affinity between samples from a central European culture known as Corded Ware, which existed from around 2500 bc, and samples from the earlier Yamnaya steppe culture. This similarity between distant populations is best explained by a substantial westward expansion of the Yamnaya or their close relatives into central Europe (Fig. 1b). 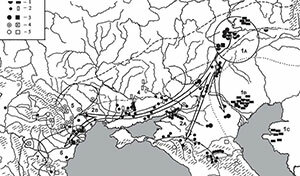 Such an expansion is consistent with the steppe hypothesis, which argues that Corded Ware cultures were a conduit for the dispersal of Indo-European languages into Europe. In many publications that followed, the trend has been to reproduce this graphical model, by asserting (or implying) that Bell Beaker peoples were the result of subsequent Corded Ware migrations, and indeed that Corded Ware peoples migrated from the Yamna culture, and were thus the vector of expansion for Indo-European languages in Europe. All of this is being proven wrong, as I predicted: see Mathieson et al. (2017) and Olalde et al. (2017) for recently studied samples with ‘steppe component’, older than (and unrelated to) the Yamna culture. However, no retraction (or correction, whatever) has been published to date about the concept of the ‘Yamnaya ancestry expansion’, and its consequences. 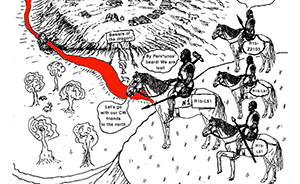 The damage of this post-truth genetics is already done: we will see the unending distribution on the Internet in general, and on social networks in particular, of these grandiose conclusions, of far-fetched Indo-European migration models that include the Corded Ware culture, of simplistic maps with apparently harmless ‘arrows of migration’ (like the above) representing fictional population movements suggesting nonexistent dialectal branches. Let me illustrate this attractive “Correlation = Causation” argument, using it to solve the problem of Future American languages. Suppose we live in a future post-apocalyptic world ca. 3500 AD, with no surviving historical records before 3000 AD. None. Just investigation of cultures and their relationship by Archaeology, proto-languages reconstructed and language families identified by Linguistics, etc. We have thus Future Germanic and Future Romance as the only language families spoken in Future Western Europe and in the Future Americas, in a distribution similar to the present day*, and we have certain somehow related archaeologically-defined cultures on both sides of the Atlantic, like Briton, Iberian, Norman, or Lowlandish, although their distribution remains partly undefined in time and space. * If you are really curious about this scenario, you can read about the potential evolution of a Future North-American language. But what languages did the ancestors of Future Americans speak, and who spread them? That question remains far from being settled by our future researchers, in spite of the solidest linguistic and migration models (talking mainly about Briton and Iberian cultures): too many authorities out there questioning them, fighting to impose their own pet theories. Suddenly, the newly developed field of Human Ancestry comes to save the day. So let’s say we have this map of ancient samples recovered (dated from, say, the 6th to the 18th century AD), and our study is centered on the newly described “Western European” component (a precise combination of, say, WHG+steppe), which peaks in early samples from the Low Lands – hence we call it, quite daringly, “Lowlandic component“. Our group is keen to demonstrate that the ancient Lowlandic culture described in Archaeology (marked especially by the worldwide distribution of tulips among other traits) is the origin of Western European and American languages… Now, let’s reach conclusions about migrations in the Middle Ages! ‘Future American’ hypothesis. 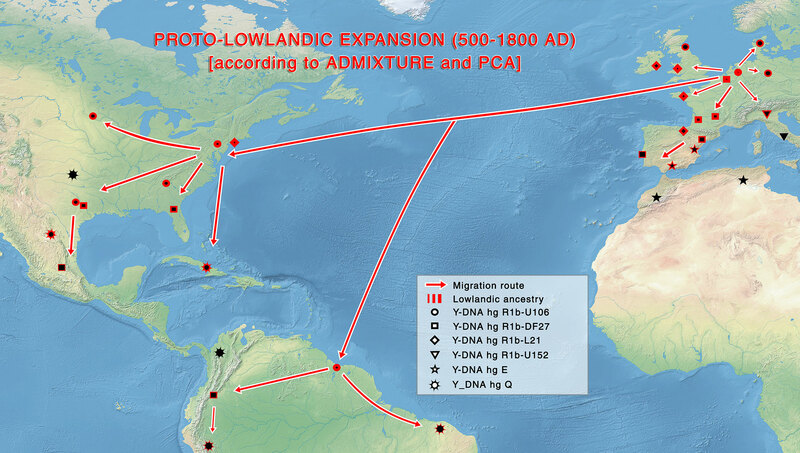 Migration routes in Western Europe and the Americas during the Middle Ages, based on the ‘Lowlandic component’ (Click to open higher quality version). 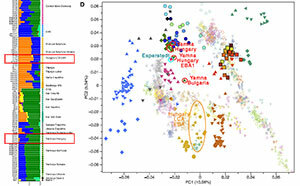 PCA shows that South-West European samples cluster closely to some North-West European samples, and that some late South American samples available cluster at some distance from North American samples – nearer to a native component represented by two individuals with 0% Lowlandic ancestry and a different cluster in PCA. And some North-American samples cluster quite closely to North-West European samples. Based on the decrease in ‘Lowlandic component’ in the different samples and on PCA, we conclude that Lowlandic peoples (“or their close relatives”) must have migrated at the same time to North America, South America (or potentially from North America to South America?) as well as western, central, and northern Europe. Both migration events must have happened roughly at the same time, in part because both distinct language families appear in a north-south distribution, and Proto-Lowlandic must be (according to Genetics) the ancestor of both, Proto-Future-Germanic and Proto-Future-Romance. That makes a lot of sense! A huge Lowlandic pressure for migration, you see. Push-pull mechanisms and stuff. 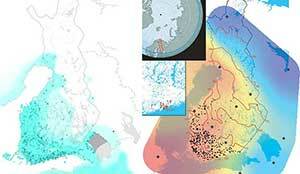 A Lowlandic Empire probably (scattered remains are found everywhere)! 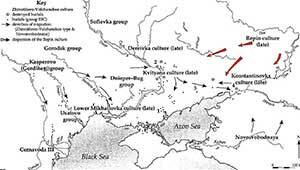 And, judging by the presence of the ‘Lowlandic component’ in Future East Europe from the Elbe to the Vistula, maybe Lowlandic peoples spread Proto-Slavic, too! We can even date the common Lowlandic-Slavic proto-language this way! So many groundbreaking conclusions! What about specific models of migration proposed to date? The solidest ones, not just anyone that seems to fit? What about the dialectal classification of languages? The mainstream ones, not those that are compatible with this interpretation? 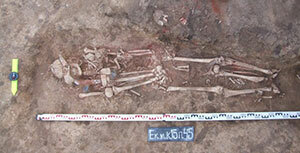 What about archaeological cultures to which individual samples belonged? What about the actual dates of each sample? And how this date relates to the state of the culture to which it belongs? 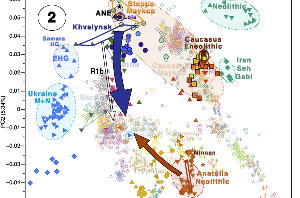 What about the haplogroups, and the actual subclade of each haplogroup? What about the territories, cultures, and dates not sampled, could they change this interpretation in light of known archaeological models? 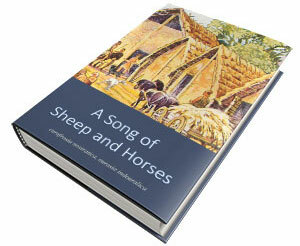 And what about the actual origin of that ancestral component they so frivolously named? 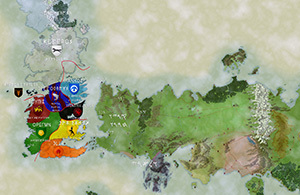 Dit it really appear ex nihilo in the Low Lands, and expanded from it? No, numbers don’t lie. But people do. Correlation is fun, isn’t it?